Event organiser Messe Berlin has revealed that at this year's Fruit Logistica, which takes place on 4-6 February 2015 in Berlin, trade visitors can follow different routes for an easy and effective way to find suppliers of certified organic or fresh convenience products. 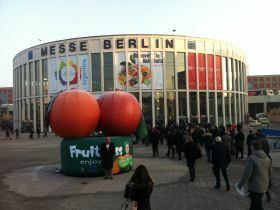 The organic and fresh convenience segments offer excellent potential for increasing retail sales, and their appeal is evident at Fruit Logistica. "More than 600 exhibitors are presenting their organic products at this year's event, of which 146 with certified products are taking part in the organic route," Gérald Lamusse, Global Brand Manager of Fruit Logistica explains. The fresh convenience segment has also shown good growth, counting over 250 exhibitors, with fifty of these companies to be found on the convenience route. These targeted routes have been established to ensure that trade fair visitors can easily find organic and fresh convenience product suppliers amid the more than 2,700 exhibitors at Fruit Logistica.